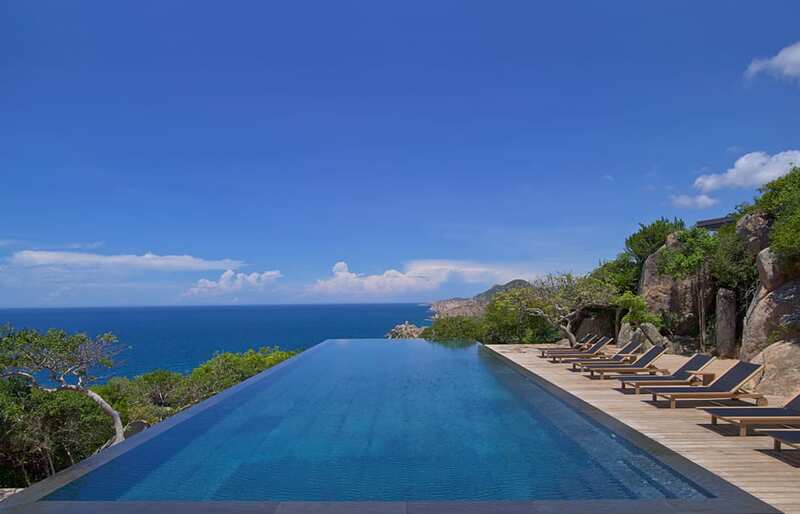 There is something about Aman Resorts we adore. Is it the ambience? The amount of privacy and space, the design, the attention to detail? Or the inconspicuous service? Whatever the answer is, the Aman’s Vietnamese outpost does not disappoint. Come to think of it, it’s actually all of the above. As with other Aman properties we visited, at Amanoi the combination of all parts makes the perfect whole, and as it is often the case, both the biggest things and the smallest of details made it a great hotel. The ride from the airport is a long one, but the landscapes of the Nui Chua National Park, in which the resort is located, are quite something. Plus, the car has Wifi (did you follow us Instagramming from the ride?). Upon arrival, the beauty of the resort took our breaths away. Its sophisticated architecture, skilfully selected furniture, smartly curated fine art pieces and interior design finishes make it an instant classic. 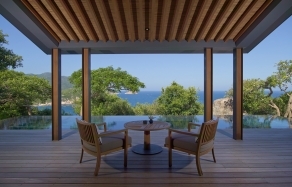 It seems only a few months ago we were writing about Amanoi as the newest Aman Resorts opening. And here we were, actually wandering its beautiful grounds. A bit dazed, we were led on a tour that culminated at our pavilion. While the main building provides the first good impression, in many ways the guest accommodation epitomises the style of Amanoi. Our pavilion (No. 12) was simultaneously grand and cosy, elegant and relaxed. The setting—immaculate. Embraced by lush greenery, meticulously landscaped to appear natural, and flanked by massive boulders, its sundeck and the massive infinity pool are nothing short of iconic. The resort still being young, we expected hiccups, yet there were hardly any (see What You Should Know, right)—and the Aman essentials were firmly in place, including the stealth housekeeping. The Aman Housekeeping Ninjas (our coinage) always know exactly when the guests are out of the room—and would make it spotless before their return. Having such a perfect space as our pavilion, we wanted to limit the time we had to spend outside of it, but it was tempting; the resort has more to offer than the beauty and privacy of the guest accommodation. Beyond the pavilion, our favourite spot was the breakfast terrace in the morning and the main building bar in the evening, whilst the beautifully designed beach club was the place to go any other time of the day. 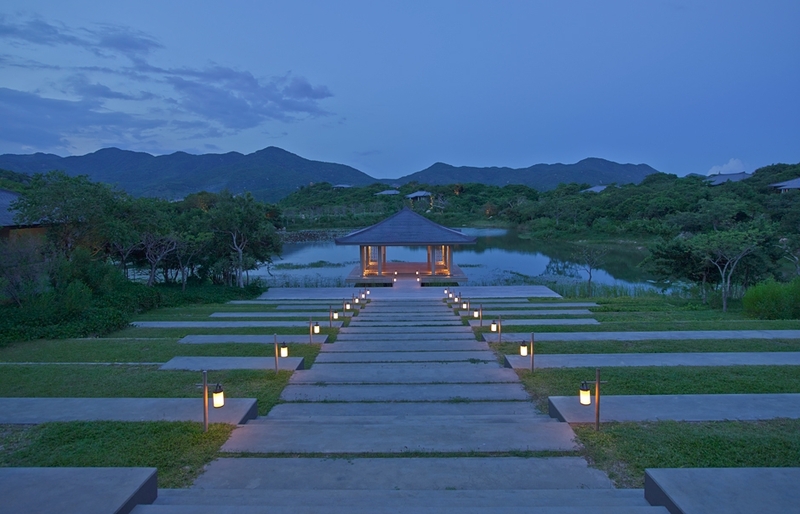 But the resort has a plethora of other facilities, especially the fantastic spa, beautifully set by a small lake. Amanoi is a fully-fledged luxury enterprise ready to cater to guests’ every whim—not least of which are the culinary caprices. With a simply-printed menus, the kitchen was ready to prepare any dish we fancied—and the bar was happy with the repeat orders of Mohitos. Cheers! 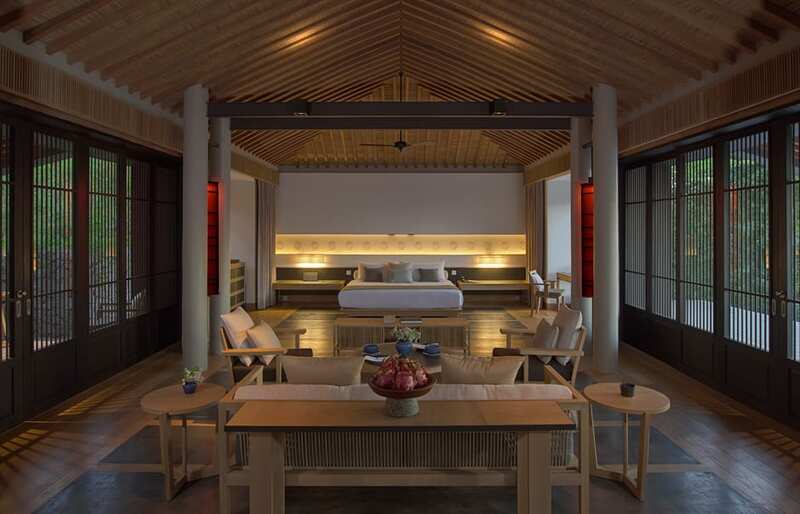 We've grown to have very high expectations of Aman Resorts—and they were once again met at Amanoi. It's an utterly serene and beautiful resort—its name, derived from the Sanskrit words for “peace” and “place”, aptly describes the mood. 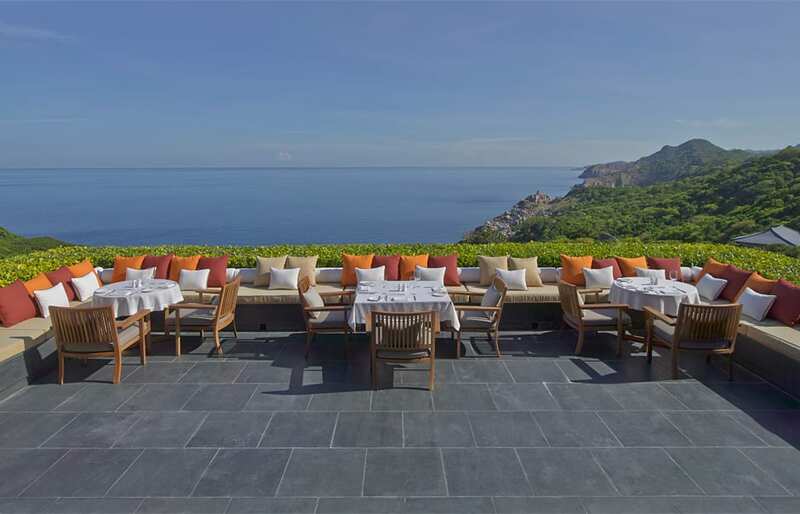 It's a perfect hotel to pick for the end of a Vietnamese adventure or perhaps as a honeymoon retreat. Oh, and the Travel+Style Editor's Pick is a given. Beautiful design and architecture: is masterpiece too big a word? Not when the architect behind the project is the one and only Jean-Michel Gathy! 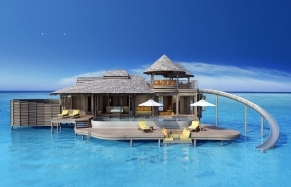 The guest pavilions—definitely have the WOW factor—with an open plan and contemporary style reflecting local architectural traditions… and absolutely massive private infinity pools: great “swimmable” size! We loved the Beach Club, but for the maximum glamour, we recommend hanging out by the spectacular cliffside infinity pool, near the main building. The resort is spread out over many hills and a call for an electric buggy may be necessary to go anywhere… though from our pavilion 12 it was an easy enough walk when we felt like it.